The Orbi-turn Patient Turner enables carers to facilitate standing and seat-to-seat transfers whilst minimizing the risk of injury to themselves or the patient. 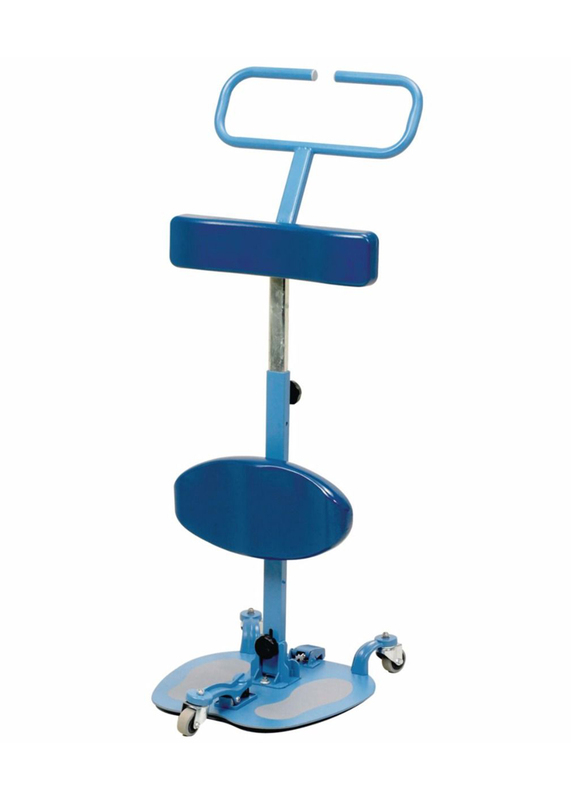 The turner allows a client with moderate upper and lower limb strength to participate in functional transfers. The Orbi-turn Patient Turner is designed for carers to facilitate standing and seat-to-seat transfers whilst minimizing the risk of injury to either themselves or the patient. It allows a client with moderate upper and lower limb strength to participate in functional transfers. The turntable rotates thorough 360° for repositioning in even the tightest of spaces. 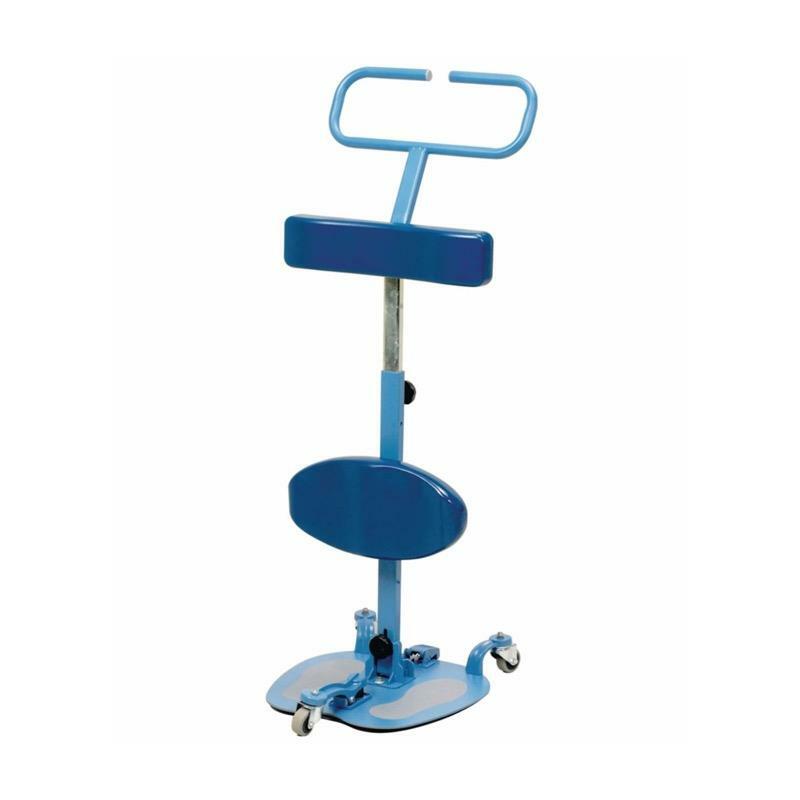 You can adjust the height of the hand bar and kneepad a well as the overall height and there is a footbrake that is easy to operate.